Robert is supposedly a haunted doll. His story starts when a young artists grandfather bought it for him at the age of four. 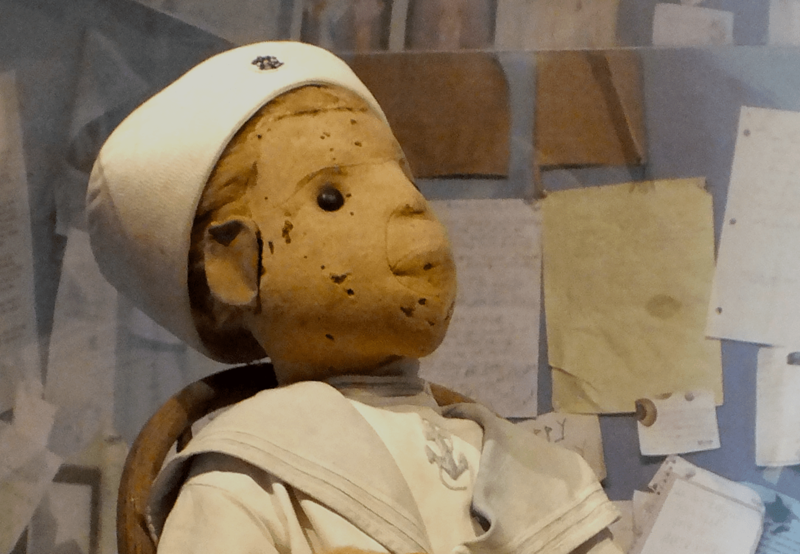 The doll was bought from Germany for Robert Eugene Otto, and the boy quickly became unhealthily attached to the doll even going as far as to name it after himself. Robert, as the doll is known, has always caused mischief. For example, while still living with his good friend Gene Otto, strange behavior started to happen around the house. In the Otto home, after the introduction of Robert, Gene’s parents had started to hear that Gene would talk to someone while alone in his room. The voice they would often hear their son talking to was deep and appeared to belong to a male figure. Other occurrences had also begun, such as Gene’s dolls disappearing then reappearing mutilated, along with furniture being overturned, and giggling whenever Robert was alone. Eventually, Gene went away to study in college and his doll, Robert, was locked in the attic. While Robert was in the attic people said the had seen a small figure scamper from window to window. Passersby would report hearing the doll giggle. When Gene had come back from his study at college, he inherited his parents’ house due to their deaths. Along with himself, Gene brought his new wife which he’d married in Paris. Genes wife did not like or get along with Robert the doll. Gene and his wife lived out the rest of their lives in the Artist House with Robert. Gene died two years before his wife and many say that his wife died of insanity as she’d locked Robert away in the attic to live the rest of her life. 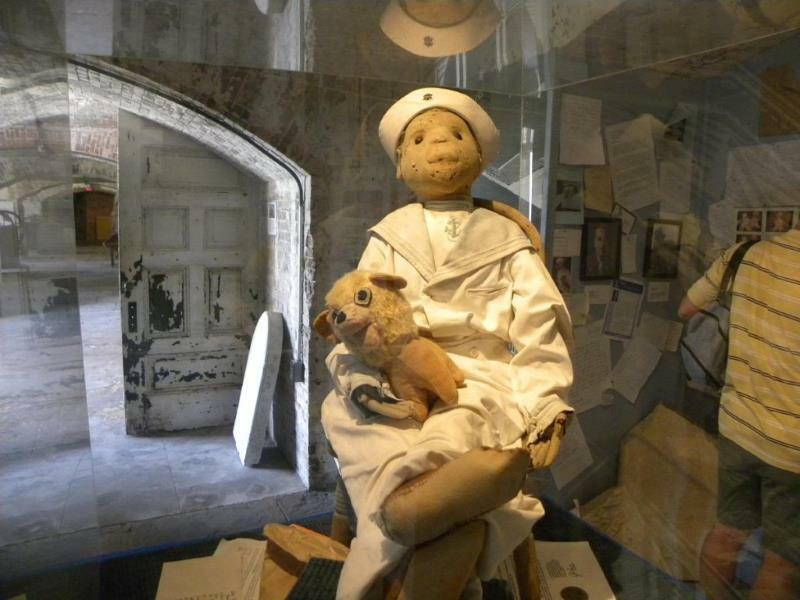 After their death, a new owner came into possession of the house as well as Robert the doll. 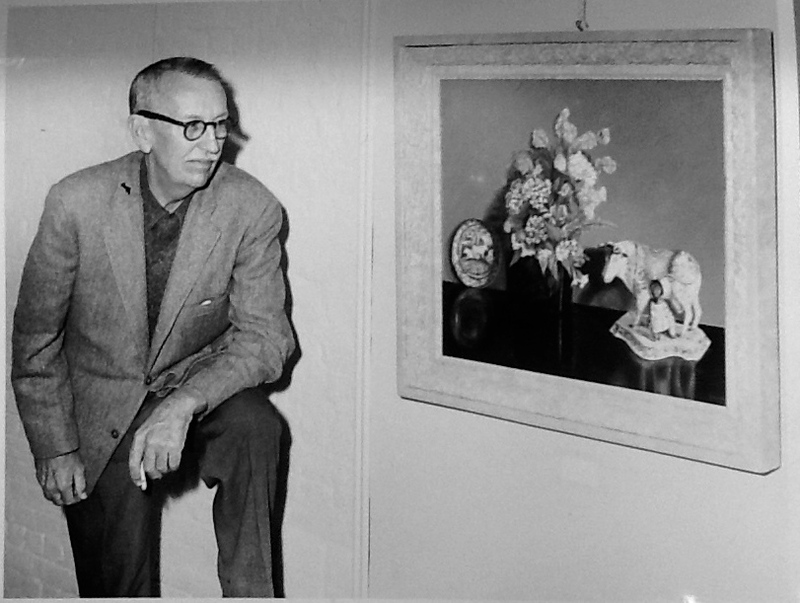 Myrtle Reuter lived a decent 20 years with Robert before she finally donated him to a museum. She simply remarked that Robert would sometimes move around rooms. Even dolls need to put their feet up. Currently, Robert resides at the Fort East Martello Museum in Key West, Florida. At the museum, people are asked to ask Robert permission before taking his picture and are warned of being cursed if they don’t. People who don’t ask before taking his picture, or show him any disrespect, often send him an apology letter asking for his forgiveness. He often receives one or two letters a day. Very nice keep up the good work! !